Immerse yourself in the hidden secrets of Koprulu Canyon and Köprüçay River and enjoy a full day outdoor adventure away from the crowds! 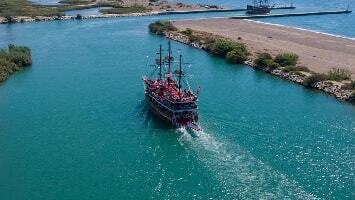 Antalya Rafting excursion combines excitement, enjoyment and action for a whole day. 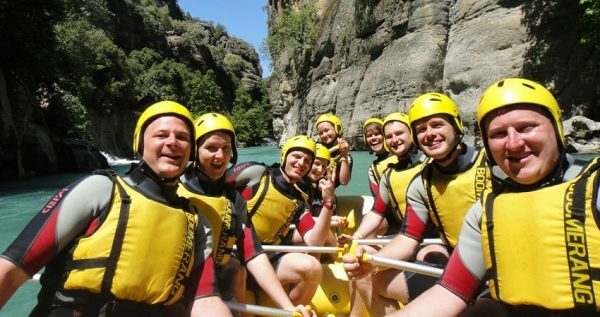 This rafting excursion is not only for those who seek an outdoor adventure. 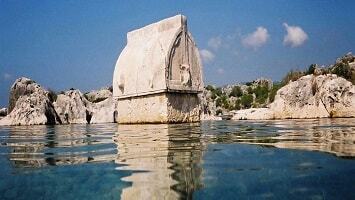 It is also for those who wish to discover and experience the hidden natural beauties of Antalya. This full-day experience, guarantees adrenaline boosts in a natural and relaxing atmosphere that you will remember for ever! Our team will peak you up from your hotel and drive you towards the meeting point of the excursion. There, you will have the opportunity to meet and chat with your instructors, who will provide necessary information about your adventure. 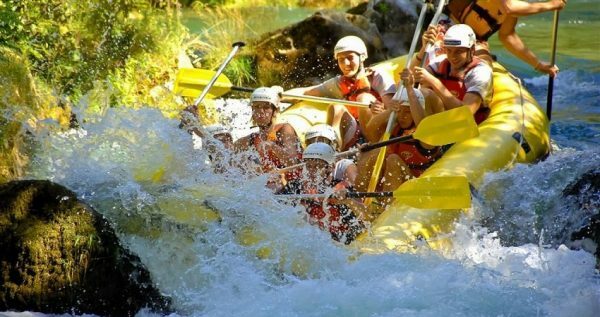 If this is your first rafting experience, no worries! There are two levels of difficulty that you can follow. Therefore, this adventure is inclusive for everyone irrespective of your prior experience. It is good to mention that everybody, between 7 to 70 years old, can participate given that they experience no health-related problems and know how to swim. Once you reach the spectacular Koprulu Canyon, the real adventure begins! You will be given all the necessary safety equipment such as helmets and life jackets, as well as your canoe or boat, depending on the number of people in your group. You will be amazed by the cold water that flows wildly into the Köprüçay River, surrounded by the extraordinary wild beauty of Taurus Mountains. In total, participants will have the opportunity to raft 3 different routes in this 14Km long river, with a break in between. During the break, you have the opportunity to admire the beautiful and unspoiled surroundings, take breath-taking photos or swim in crystal clear spring waters. In addition, the instructors will provide some general information regarding the ancient roman bridge that you can visit. 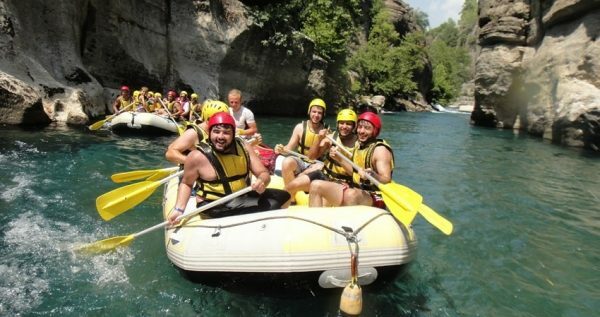 Antalya Rafting adventure then continues until you reach the finishing point. There, a launch break will be offered at a cosy local restaurant. The menu includes cold buffet starters, salad and grilled chicken or fish. At the finishing point you will also have the opportunity to view the official photos and videos that were taken during your ride in the river and purchase them as memorabilia of your amazing experience. 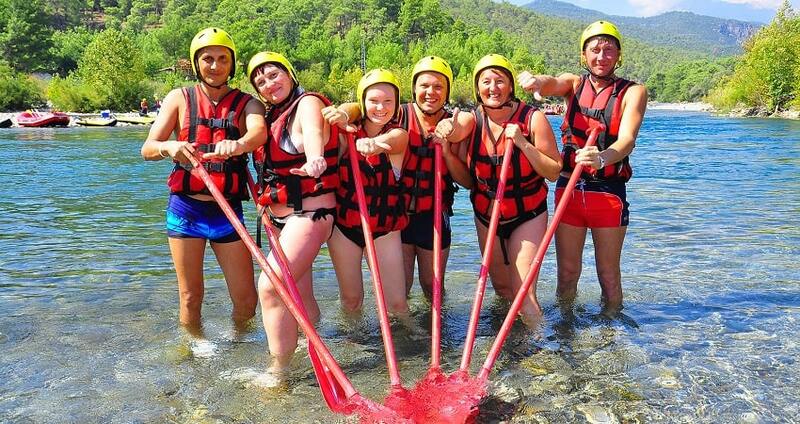 Antalya Rafting excursion finishes at the afternoon, when you will be transferred and dropped off at your hotel. By the end of your Antalya Rafting experience you will be full of positive emotions and images of the spectacular scenery that Taurus Mountains and Koprulu Canyon offer. 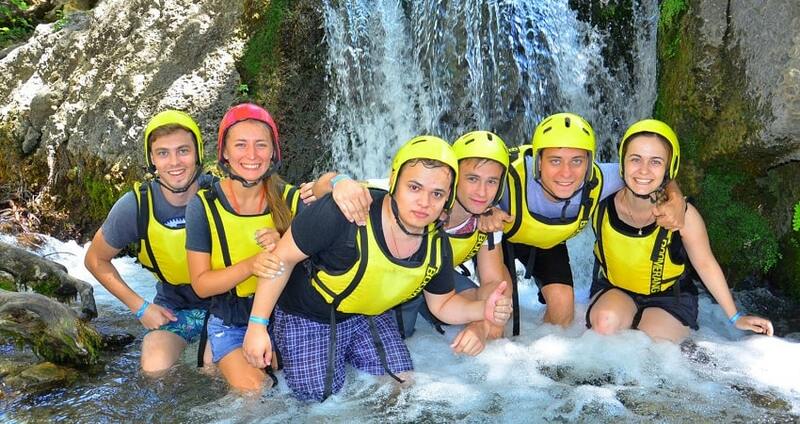 Antalya Rafting Tour is not suitable for guests with physical difficulties. 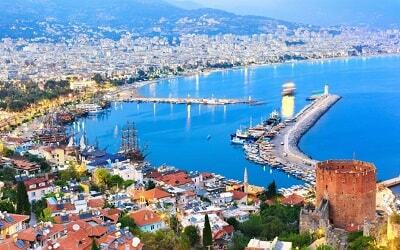 If you are up to combine another adventure to your holiday, Antalya Diving Tour is the perfect option. If you are in search of a memorable vacation experience, then Antalya Rafting excursion is definitely what you are looking for! This experience will challenge your strengths as you will be rafting in the white waves that Köprüçay River. It is also a great opportunity to observe the natural beauty of Taurus Mountain and appreciate the wild nature of Turkish countryside. You will be picked up from your hotel during the morning and our team members will transfer you towards the meeting and starting point of this adventure. Once you reach the meeting point, a meet and greed session is following between you and your instructors. 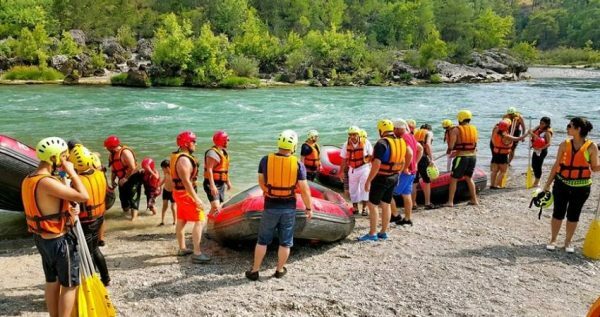 During the session, our professional rafting instructors will give you all the information and details you need to know before proceeding to the excursion. The introductory information will include things that you are allowed and not allowed to do during rafting in the river. In addition, they will explain and give you all the necessary safety equipment you might need. If this is your first rafting experience, there is no reason to worry about! There are two levels of difficulty that you can follow, irrespective of your prior experience. During your rafting session, you will be thrilled by the wild flow of cold water that Köprüçay River offers. 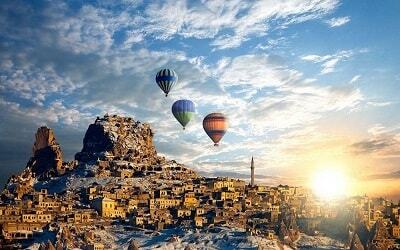 At the same time, you will enjoy amazing views since you will be surrounded by Taurus Mountains. 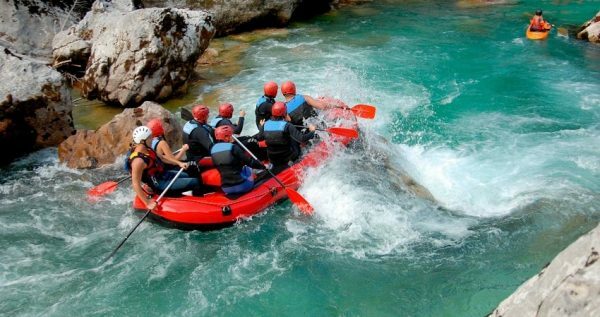 Rafting in this 14Km long River will be divided into 3 routes, with a break in between. During the break you will have the chance to swim in spring waters, take photos and visit the ancient roman bridge. 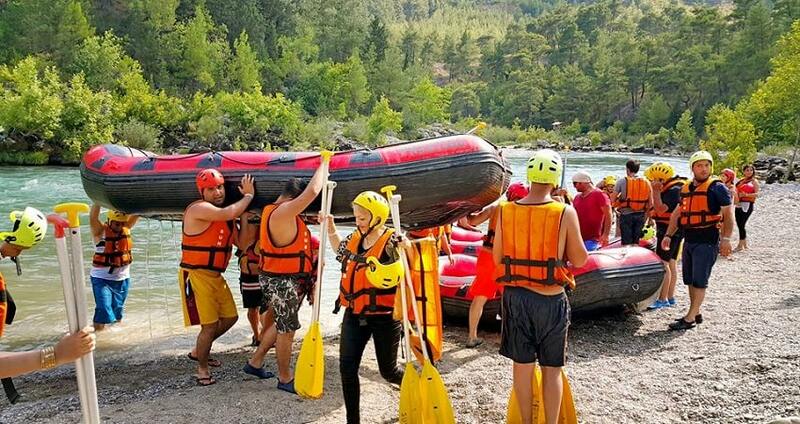 The finishing point of your Antalya Rafting adventure will be the place for your lunch break. A beautiful, riverside local restaurant is the ideal place for such an amazing ending. The menu includes cold buffet starters, salad and grilled chicken or fish. 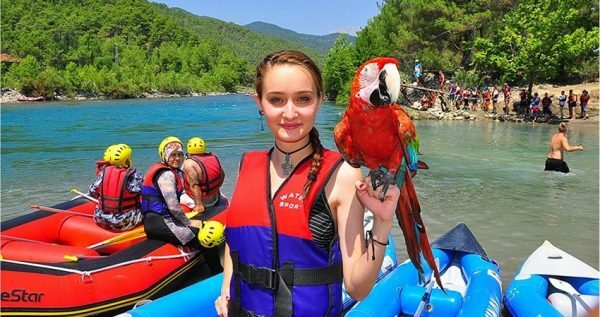 Your finishing point will also provide you the opportunity to get some rest and preview the official photos and videos that were taken during your Antalya Rafting experience. You can purchase cds, pictures and vhs cassettes at an extra cost and make sure that your memories of this excursion will never fade. 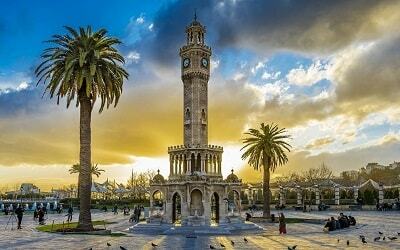 Antalya Rafting ends by the afternoon when buses will drive you at your hotel. 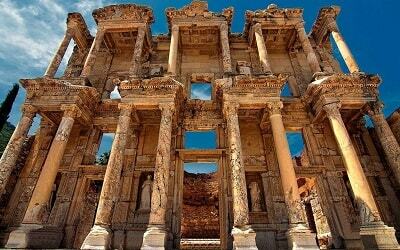 For sure this excursion will offer amazing memories that will last for a long period of time and will offer you the opportunity to experience from first-hand the wild natural beauty of Antalya.